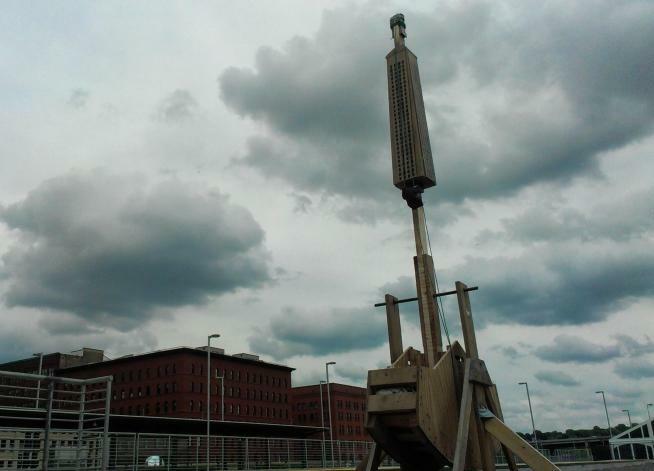 Trebuchet by day. Photo courtesy the artist. 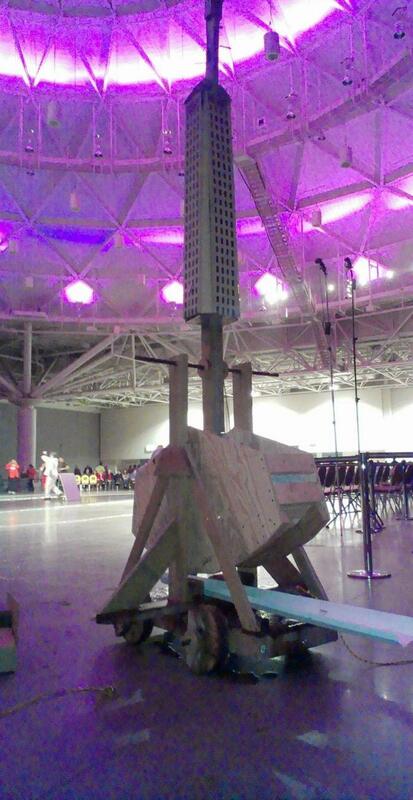 Trebuchet inside convention center. Photo courtesy the artist. Northern Spark 2013 participants. Photo courtesy the artist. 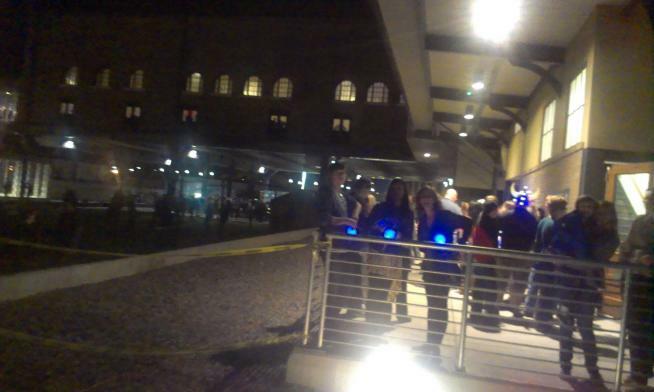 Twin Cities Maker – the Hack Factory is Lighting up the city with dreams! Write a wish for the city on a ribbon, attach it to a glowing water balloon, and watch as a Trebuchet launches it soaring through the night sky toward a giant map of the city! Over the course of the evening, an over-sized map of the city of Minneapolis will become covered with glowing points of light representing the wishes of participants. A projector will show a rotating view of the city from above, highlighting what people have chosen to write, and showing the glowing flight paths of the balloons as if they were flying over the city. Twin Cities Maker, an educational non profit, runs the Hack Factory, a member supported community based workshop space. Riley Harrison builds ridiculous siege engines, teaches classes, and serves on the board of directors.